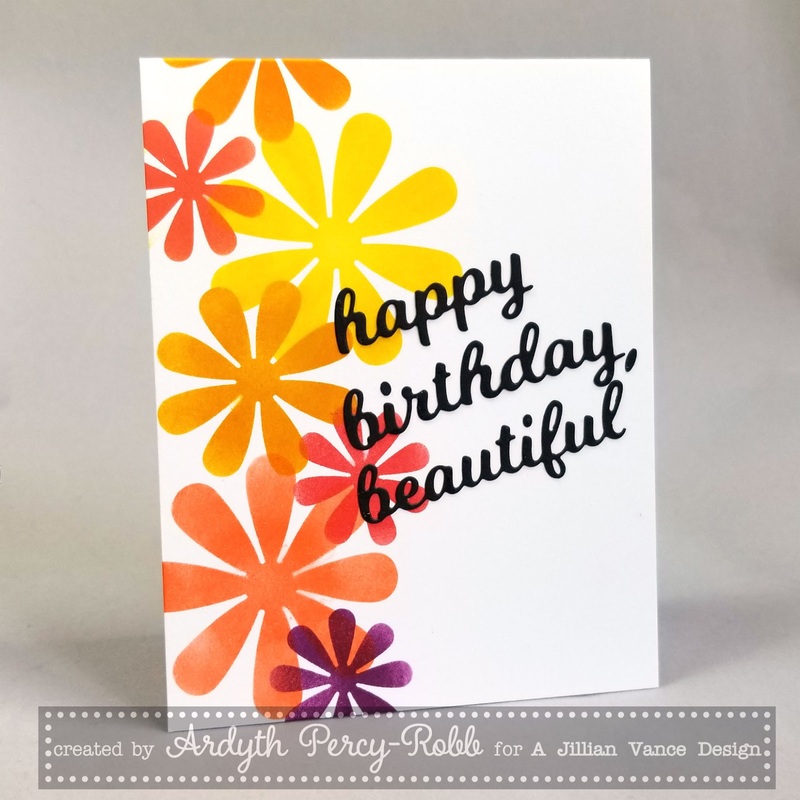 I'm on the A Jillian Vance Design blog today with this 'wraparound' card and tips for getting clean blending with a fiddly die-cut. Great colors, and I love the placement of the sentiment. This is such a happy card! What a great birthday card! It's bright, cheery and you can't help but smile when you see it. I love it ! Simple design but great color combo.